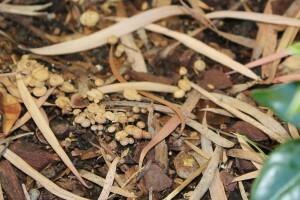 Home > Blog > Gardening > Bugs & Pests > Yikes! Mushrooms! what to do? Oh my, its certainly never dull in the garden is it? Just when I think I’m winning, something new pops up out of nowhere and I have a new issue to deal with. And novice-newbie gardener that I am, I really don’t know what to do with this new thing happening in one of the beds nor what is causing it. 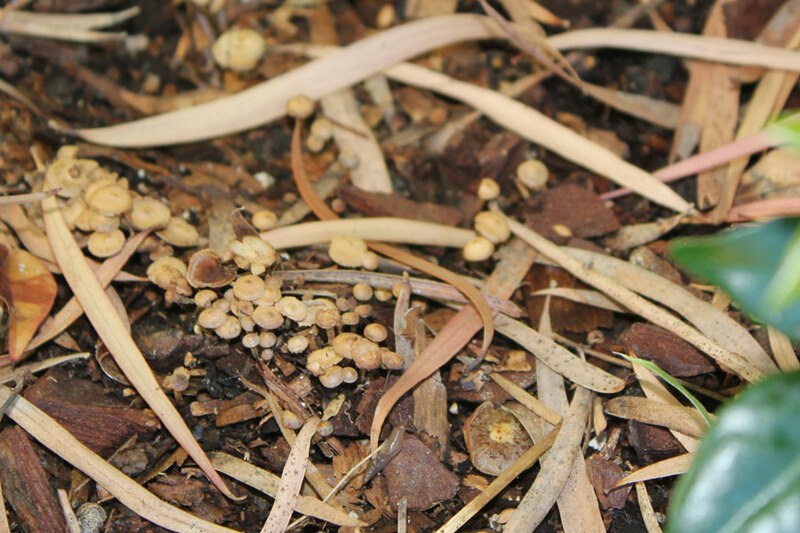 A full on growth of uninvited mushrooms – and there’s nothing magic about them! How did they get here? How can I prevent these or is it a good thing? 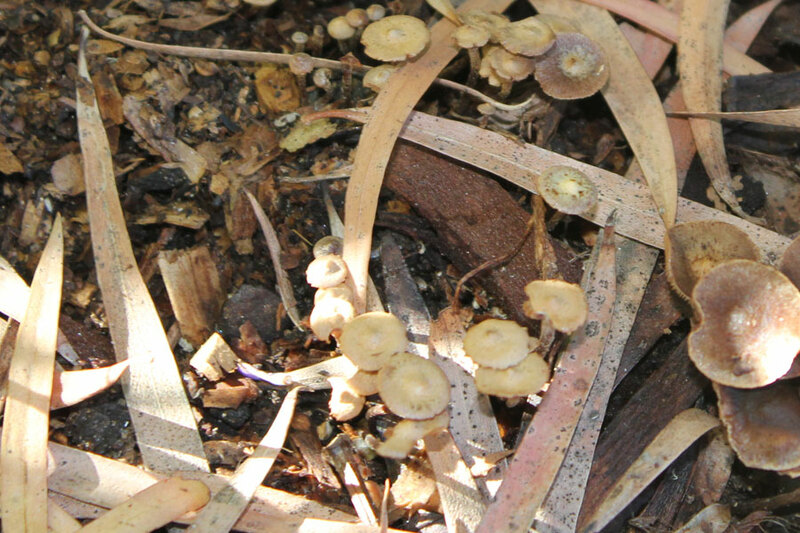 So here are the photographs of my “mushroom forest”. They are confined to this bed which is small and has growing in it Sacred Bamboo (Nandina Domestica), Dwarf Sacred Bamboo (Nandina Pygmaea) and Murraya Exotica. The area is shaded but gets light. The plants are all doing well in this bed, very well in fact. Lots of new healthy growth. No pests visible. So is this mushroom something to worry about and what should I do with it? Fun in gardening! It is always something so there is rarely a quiet moment! I wouldn’t worry about them…I get them occasionally and no harm done. Hi my gardening buddy! Oh dear! That is something I won’t see here in Philly soon with the dry air we have here. Hmmmmm. I don’t think it is anything terribly worrying but it would be a worthwhile exercise to do some research on mushrooms. I know they love damp, dark and warm environments. I remember the mushroom season when I lived in Germany and how the neighbourhood went into the forests to pick them. Yikes! I would be so nervous in case they are poisonous. How can you tell!!? So lets do some googling. Never a dull moment in the garden! !